Marketing Analytics | BMT Micro, Inc. When the word Analytics is used in the eCommerce world, people are typically referring to Web Analytics. 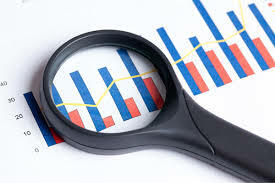 They tend to think of metrics that are associated with analytic tools, such as traffic, bounce rate, new visitors, etc. Web analytics are very valuable and can provide a wealth of insight and data into your website’s performance; however, from a marketing perspective, more data is needed to understand the performance of your marketing campaigns. As a business, you are constantly putting money into marketing campaigns and advertising, so it is important to know which ones are successful and where you stand on your return on investment (ROI). Marketing analytics measures business metrics such as leads, conversions into sales, and overall traffic (beyond the website). It includes data not only from the website, but also from other sources like email, social media, and offline campaigns. It measures what influences led customers to purchase from them: was it the website, a Google Ad, an e-mail? Marketing analytics is more consumer focused. It focuses on what led the customer to purchase and it does not solely look at the website traffic. Marketing analytics help marketers understand the effectiveness of their campaigns, not just their website. It allows marketers to analyze how successful each campaign is, how they compare to each other, the true ROI of each campaign, and if they are meeting their business goals. As a result of the information they can gather from their marketing analytics, marketers can also determine what is not working, and make adjustments to campaigns to improve their overall marketing department. One of the most powerful marketing performance metrics comes from the keywords. Keywords can tell you exactly what is in your current and potential consumers’ minds. When most companies engage in paid search marketing, they are looking to increase the traffic to their site, but the long-term benefit is the keyword data they receive. This information can be used to plan and optimize business processes. It gives you insight into how your consumers perceive your business. Marketing analytics gathers data from across all marketing channels and consolidates it. This allows you to see the overall picture and make better informed decisions regarding your marketing efforts moving forward. It allows you to forecast based on trends because you can analyze reports from the past. Marketing analytics can deliver data-driven predictions to influence your future marketing campaigns. For instance, let’s say you have a marketing e-mail campaign that is targeting leads from your site. Marketing analytics will not only tell you how many people clicked the e-mail and were directed to your site, but it will also let you know how many were converted into customers once they landed on the website. This permits you to track the success of the campaign and then compare it to other campaigns and their success. It allows you to know what is the most effective in order to plan for the future. A key differentiator between web analytics and marketing analytics is that marketing analytics focuses on the consumer. This enables you to track how individuals are responding to the different marketing channels and efforts. It allows you to learn what works and what does not work on your target market. At the end of the day, the marketing department needs to be able to understand their target market and how to market to them. Lastly, all of this data and information you compile has no value unless you use the information to plan in the future. With marketing analytics, you have a solid look into the effectiveness of your marketing channels. It is a constant process of testing and learning, marketing analytics enables you to improve your overall marketing program performance through benchmarking and making improvements based on the data. Marketing analytics allows for better and more successful marketing by enabling you to see exactly how consumers are responding to your campaigns. By more effectively tracking leads and leads that convert into sales, you can see which specific marketing campaigns are contributing to your bottom line. The important thing to take away is that if you are solely relying on web analytics then you are missing out on a lot of powerful data that can help with your marketing strategy.